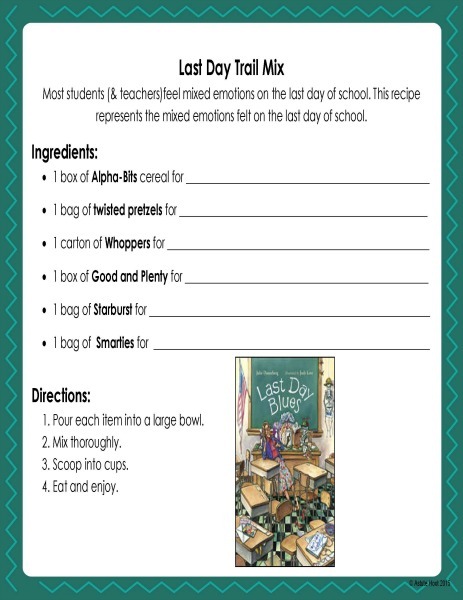 Looking for an engaging last day of school project? 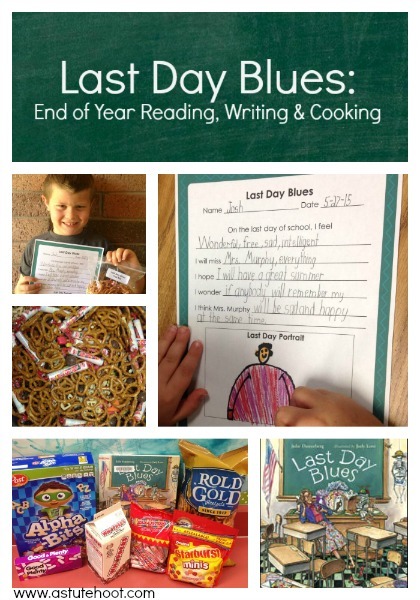 Use our Last Day of School Blues FREE Activity to help students reflect and discuss end of year feelings. My students LOVED it and it kept them engaged in learning on the last day, which can be a difficult feat. 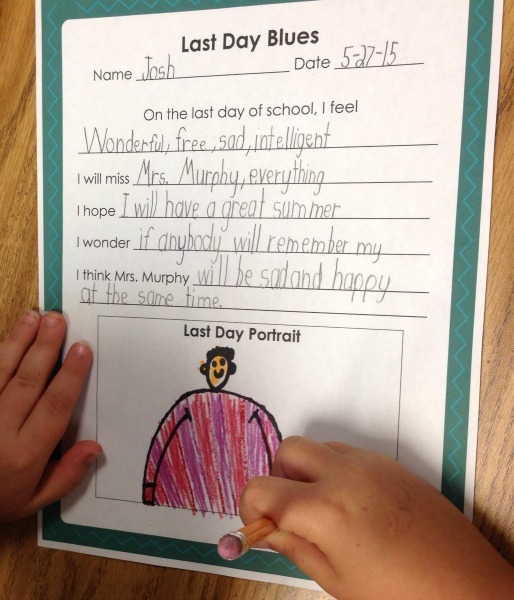 First, the class and I discussed our feelings about the last day of school. I explained that it is normal to have a mix of emotions; I told them that I was sad to see each of them leave, proud of all that they learned, and excited to start summer vacation. Students took turns sharing feelings and I recorded these on the board for our reflection sheet activity. 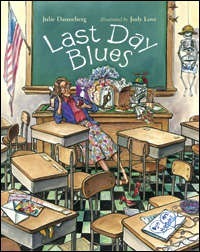 Next, we read Last Day Blues by Julie Danneberg. 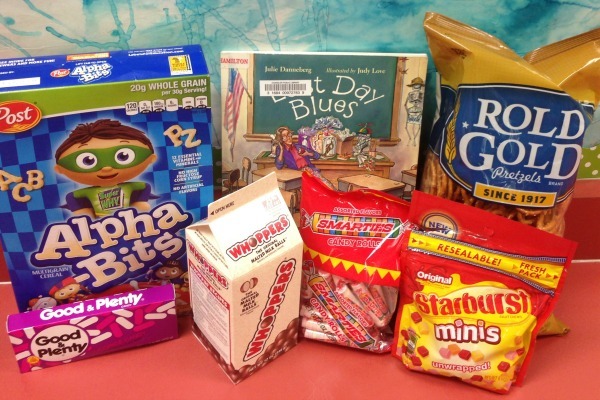 In this story, Mrs. Hartwell’s students are worried about how sad she’ll be and how much she’ll miss them over summer break. They look for the perfect gift to help her remember them and decide to make a poster with a poem and drawings featuring all of the things that they’ll miss about school, especially Mrs. Hartwell. As we read, I stopped several times to discuss, make predictions, and create text connections. 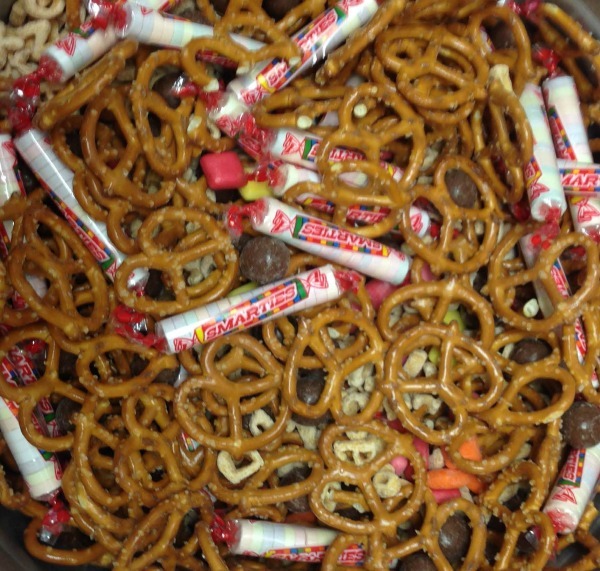 Students wrote in each representation as each ingredient was discussed and added to the trail mix. Finally, students completed the Last Day Blues self reflection sheet using the list of emotions we brainstormed while reading the story. Afterwards, students took a Gallery Walk, silently walking around the room to read and observe each reflection sheet. Students participated in a Think-Pair-Share to discuss similarities and differences between the reflections as well as favorite memories from the year. This activity kept students engaged and focused on the last day of school, but more importantly, it gave them a valuable opportunity to reflect on and discuss key highlights and memories from the year. I hope you have a wonderful last day with your students!